Here are 5 recommended causes. Let no cancer patient suffer in pain. Rs1,000 from you will bring a doctor, a nurse and a counselor to a patient’s house. Pay for one home visit. Spread happiness by fulfilling a sick child's dearest wish. Rs2,000 will help Make A Wish make dreams come true. More than 1,00,000 girls are progressing in school. Support a Nanhi Kali's education now! 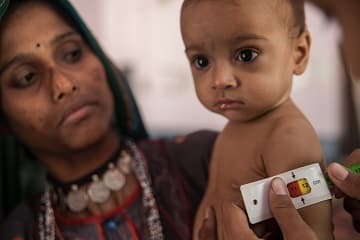 Childhood malnutrition is India's shame. 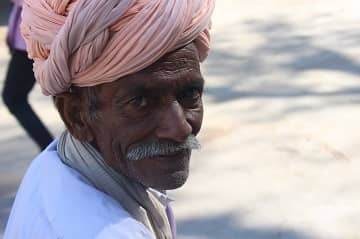 Reduce deaths in India's 'hunger belts' with Fight Hunger Foundation. Little things make a Big Difference #HYNGO. Little things like helping someone cross the road, buying a meal to even giving a bigger tip CAN make a Big Difference. This Daan Utsav, share with us your random acts of kindness, using #HYNGO. We would love to showcase your pictures or videos on our social media channels. We have 630+ verified NGOs. We have raised over 3.22 cr for NGOs across India so far. CanSupport helps cancer patients fight the disease, trauma and pain that comes when a loved one has cancer. They provide home-based care for patients who cannot go to the hospital, run a free helpline providing callers with details of blood banks, hospitals, doctors and nursing agencies and even provide daycare services to underprivileged children whose parents are undergoing treatment. Make A Wish is the world’s largest wish-making organisation. They grant the wishes of children with life-threatening medical conditions to give them hope and strength as they deal with their illnesses. Granting their wishes - often soft toys, a day with a hero they look up to – gives the children a renewed energy to fight the disease they are battling at the time. India's has the largest percentage of the world's blind population. What's more, much of this blindness is preventable by performing a simple surgical procedure. Nav Bharat Jagriti Kendra provides these surgeries to poor patients living in interior Jharkhand who would otherwise permanently lose their eyesight. Nanhi Kali currently supports the education of 1.2 lakh underprivileged girls in 9 states. The programme jointly managed by the K.C. Mahindra Education Trust and the Naandi Foundation. The project mobilises communities to send their daughters to school, provides after school classes, schoolbags, shoes, books and other essentials that help a girl go to school with dignity. The fight against hunger cannot be won without winning the fight against poverty. Fight Hunger Foundation helps the poor develop long-term sources of income so they are better equipped to tackle malnutrition.